008 presents dreadmaul to the buttons with this mix of heavy industrial grooves and breakneck percussion. 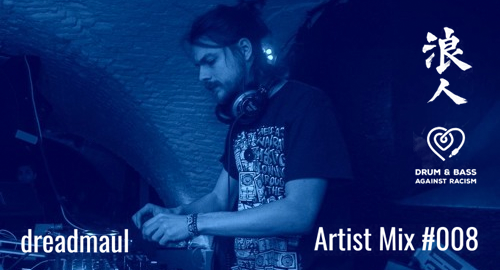 With his production journey starting in 2006 dreadmaul has crafted his own vibe of tribal infused techno-driven drum & bass which has been exciting us here for quite some time. His release CV spans around labels such as Delta9 Recordings, Onset Audio, Vykhod Sily & many more with his new collab single right around the corner on RO we are very happy to welcome him to the clan, look out for more.